The magic of the season is captured in jewellery that shouts style and charm! 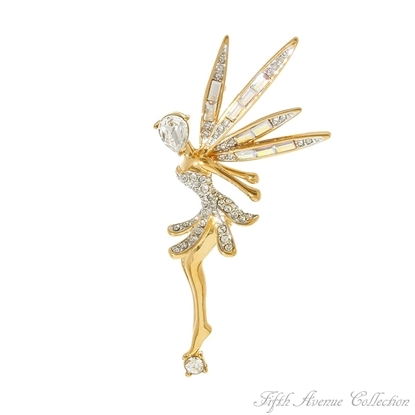 This dainty fairy seemingly comes alive with vibrant wings of emerald cut crystal and a scintillating Swarovski dress. 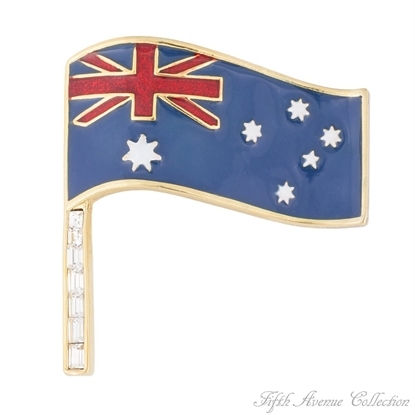 Add "A Touch of Gold" to your wardrobe wearing this delightful pin. 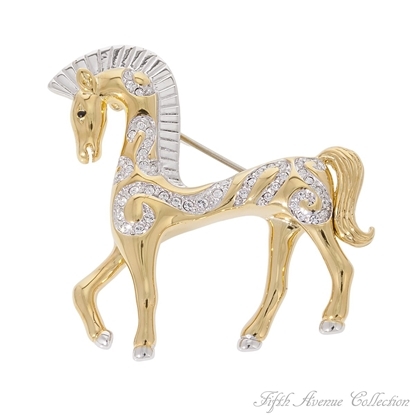 The Trojan horse has never looked more gallant than this handsome steed finished in gleaming gold and rich rhodium. 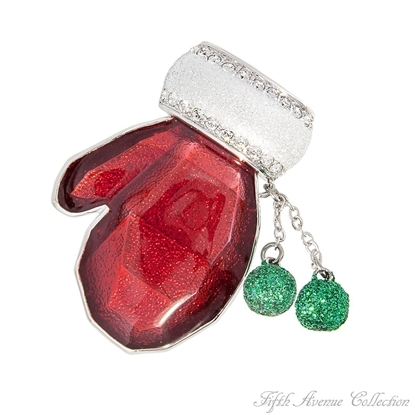 He’s at his sparkling best, sprinkled with Swarovski’s clear crystal.Nickel and lead free. 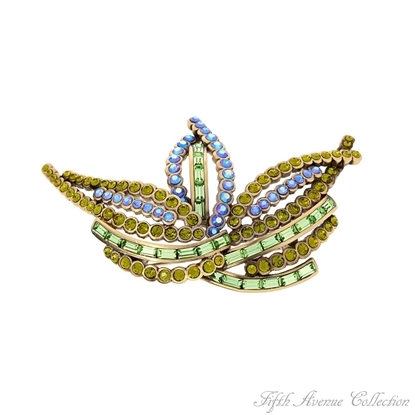 This striking palm tree pin sparkles with Swarovski crystal in a beautiful mix of olive green and sapphire blue set in a copper finish. Nickel and lead free. 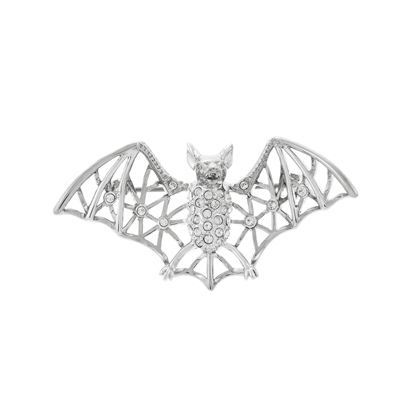 Silvery wings and shining Swarovski crystals bring Fifth Avenue Collection’s little “Batty” pin to life. 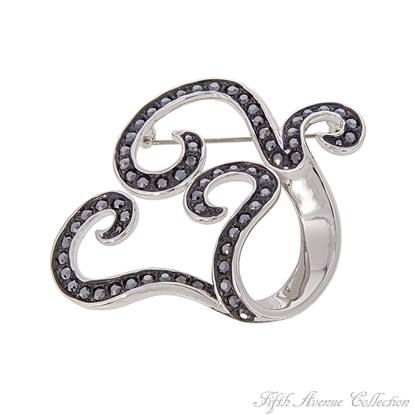 Add this little rhodium-finished creature to your ensemble for style on the fly! In the mood to shine? 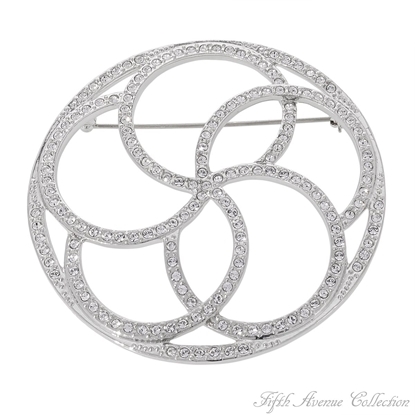 All you need is a simple pin to accentuate your style and make your fashion stand out. 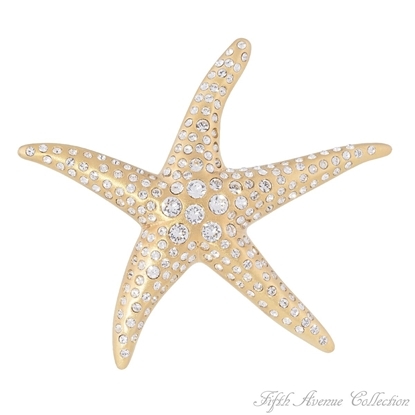 With contemporary west coast appeal, this whimsical gold-finished starfish encrusted with luminous Swarovski crystals will be the accessory that puts you in the fashion spotlight. In the mood to shine? 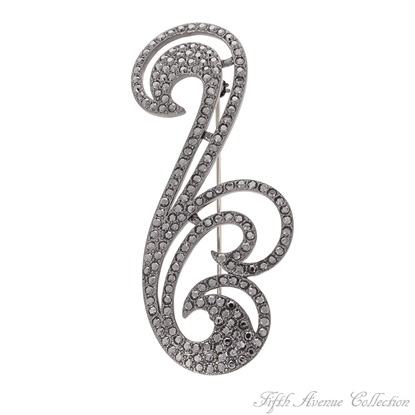 All you need is a simple pin to accentuate your style and make your fashion stand out. With contemporary west coast appeal, this whimsical rose gold-finished starfish encrusted with luminous Swarovski crystals will be the accessory that puts you in the fashion spotlight. In the mood to shine? 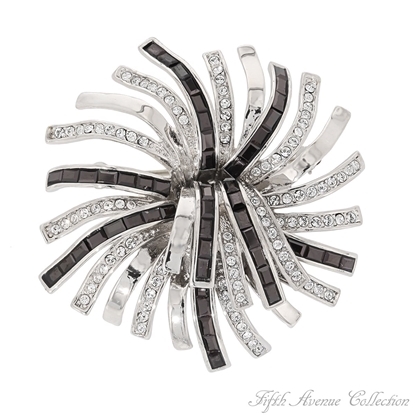 All you need is a simple pin to accentuate your style and make your fashion stand out. With contemporary west coast appeal, this whimsical rhodium-finished starfish encrusted with luminous Swarovski crystals will be the accessory that puts you in the fashion spotlight. 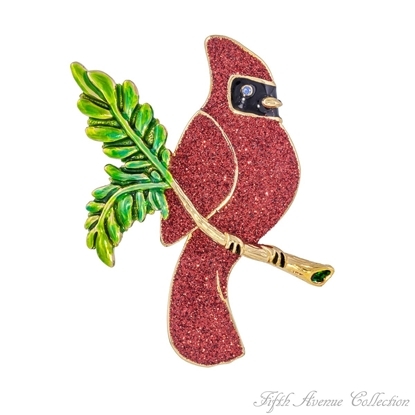 Bring the iconic beauty of the season’s woodland to your style with “Cardinal Carol” holiday pin. Designed to reflect and appreciate this joyful bird’s grace, this piece features a black enamel face with a body of glittering red diamond dust creating a colourful and vibrant Christmas accessory. Perched on a branch of gold-finish with lustrous green enamel, this piece offers exquisite festive charm so you can celebrate the holidays in style! 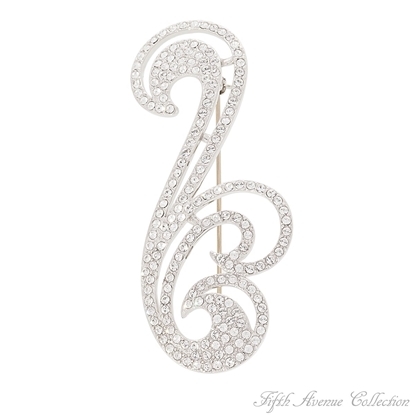 Fifth Avenue Collection will donate $3.00 to breast cancer research for each 2015 collector’s pin sold. 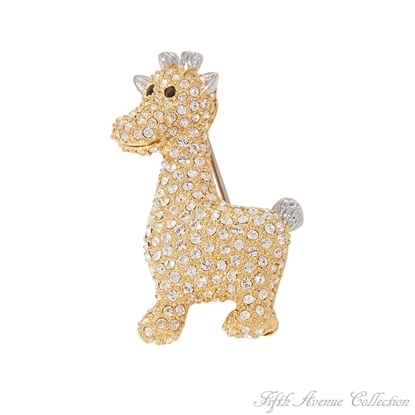 If you’re an animal lover with a sense of humor, then you’re going to adore this cheeky little giraffe encrusted with Swarovski’s sparkling clear crystal. Clasp him on and he’ll soon become your favorite pet.Nickel and lead free. Accessories are the surest cure all for a tired wardrobe. Spruce up last year's blazers with "Easy Elegance" when you pin on this fabulous brooch, sparkling with Swarovski crystal. Nickel, lead and cadmium free. 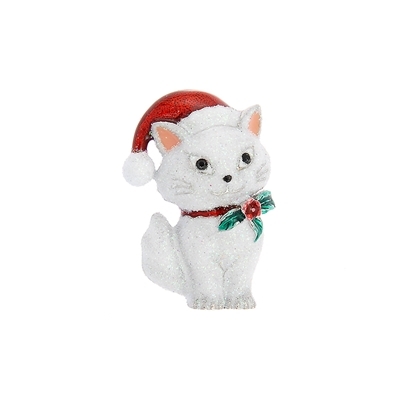 Add some fun and holiday cheer to your look when you wear our adorable “Holiday Kitty” pin! Featuring beautiful shimmering diamond dust, red and green enamel and sparkling jet black Swarovski crystal eyes. Lead and nickel free. 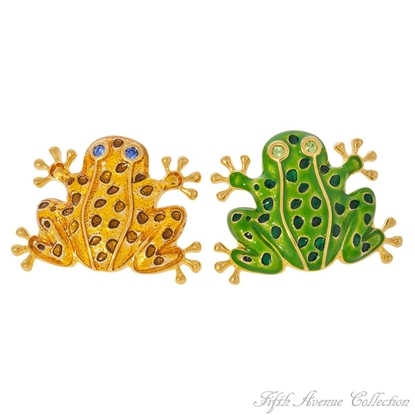 Introducing Fifth Avenue Collection’s charming 2016 collector’s pin. 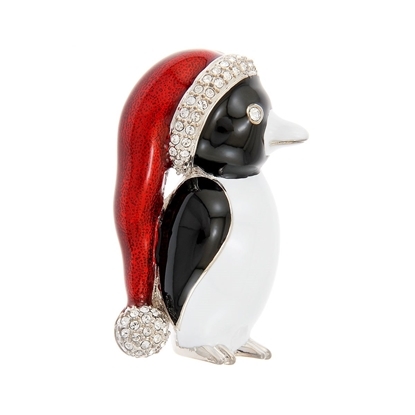 Sporting a polished tuxedo of black and white enamel and a gleaming red hat adorned with shimmering Swarovski crystals, this cool guy will add fun, style and holiday cheer to any outfit. 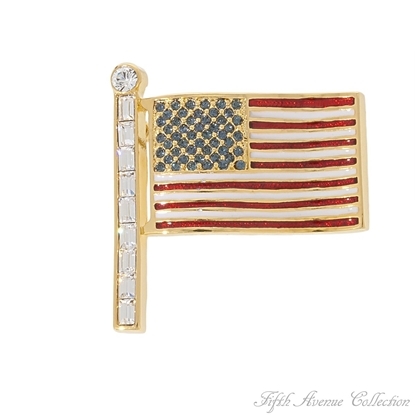 Fifth Avenue Collection will donate $3.00 to breast cancer research for every “Holiday Tuxedo” pin sold. 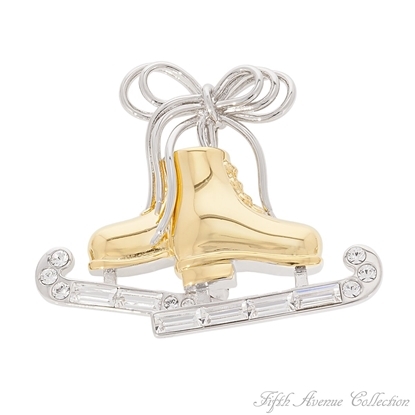 The silver bows and sparkling crystals shimmering on these golden skates will have you imagining yourself doing a triple axle and longing to skate with the stars!Nickel and lead free. 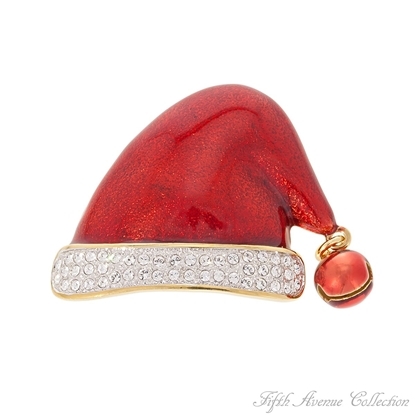 Pin on this delightful hand-enameled Santa hat, trimmed in two blazing rows of Swarovski clear crystal. Complete with a merry jingle bell to help ring in the holiday festivities. Nickel and lead free. 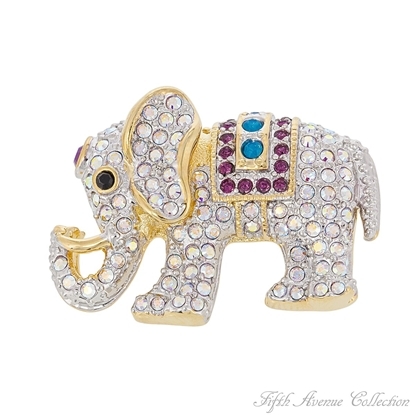 This fearless elephant encrusted with Swarovski's colourful crystals is not only mighty, he's mighty cute! Nickel, lead and cadmium free. 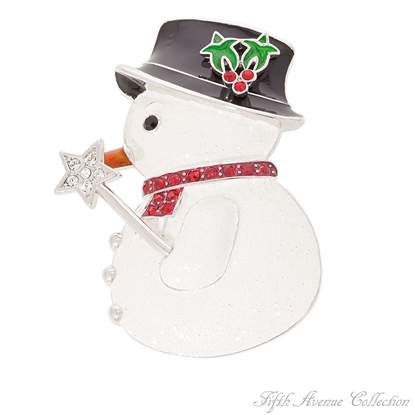 "Magic Man" is all decked out in diamond dust, Swarovski crystal and black enamel to bring joy to the holiday season. As our collector's pin 2012, $1.00 from every pin sold will be donated to breast cancer research. Nickel and lead free. No you’re not dreaming – finally a gorgeous golf bag encrusted with Swarovski crystals that sparkle as much as you do on the course! Pin it on and set the pace for your best game ever. Live in the moment with fashion that embraces the hottest trends of today. 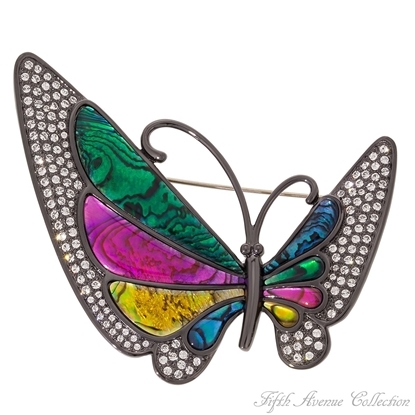 This vibrant pin exudes vitality and style; brightening your look and giving you the latest in superior, fine fashion design. 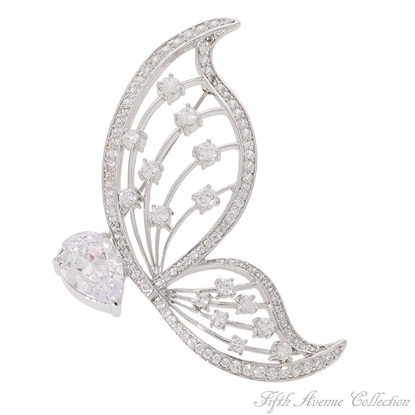 A twist of solid rhodium-finished bands and rows of Swarovski crystals, artfully sweep into a flourish of cubic zirconia fashioned like the face of a flower. Forget about yesterday, don't worry about tomorrow, dress your best for today and carpe diem! Rhodium Plating, Clear Cubic Zirconia & Clear Swarovski Crystal Measurements: 1 1/4" x 3 1/2"
Wink at yourself before you leave the house and add one more accessory to your look! 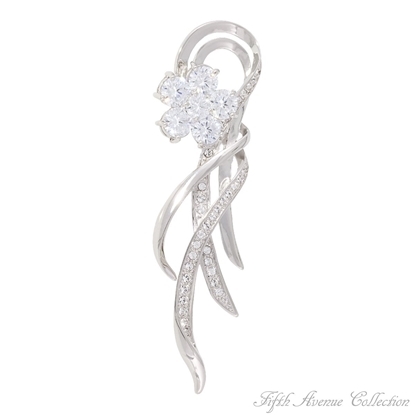 Why not choose this delightful pin designed with swirls of Swarovski clear crystals. It's a real eye-catcher. Nickel, lead and cadmium free. This beautiful pin is a perfect example of where the past and future collide. 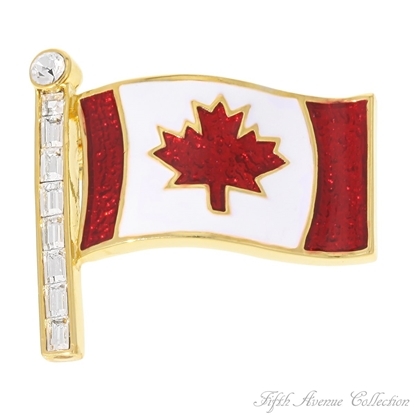 The lapel pin is once again moving up on the scale of popularity and this gorgeous yet subtle design, sparkling with Swarovski crystal, is a true beauty. Nickel and lead free. 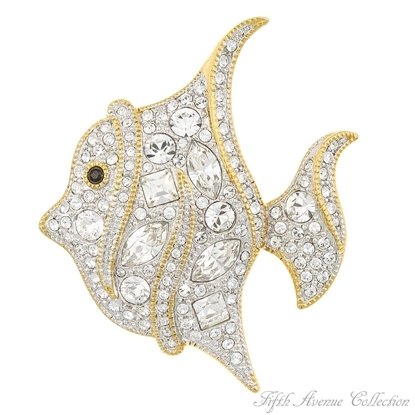 Looking for something "Really Splashy" in your search for beautiful jewellery? Try on this little catch finished in gold and swimming with a full scale of blazing Swarovski crystal in a school of different cuts and sizes. Nickel, lead and cadmium free. Enjoy this charming "Snow Day" pin, featuring hand-painted red enamel, shimmering diamond dust and twinkling Swarovski crystal, all through the holiday season and for many years to come! 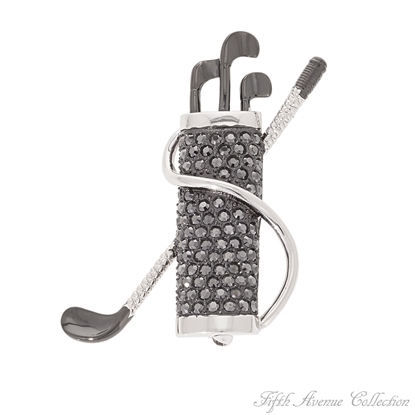 Fifth Avenue Collection will donate $3.00 to breast cancer research for each 2013 collector’s pin sold.Nickel, lead and cadmium free. The colors of cinnamon, curry, paprika and cayenne - spices that once launched a thousand voyages - mellow in Swarovski’s beautiful shades of topaz crystal. 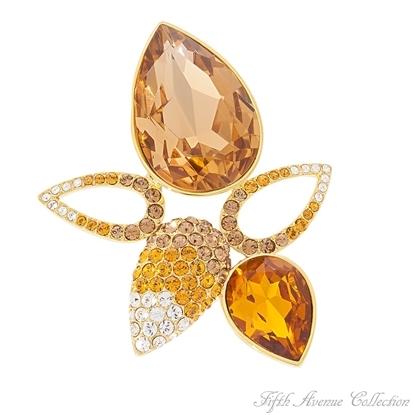 Combined with blazing clears and set in a gleaming gold finish to create this exotic pin and matching earrings. Nickel and lead free.